Google – is one of the largest platforms integrated into millions of mobile devices all over the world. It’s one of the oldest ones, which makes it reliable for both customers and business owners. Google became a habitual part of our lives. It hints us when we have no idea how to make up a search request, it helps us find and book hotels and restaurants for our pleasure and entertainment, it connects the users and gives them a chance to share impressions no matter if they’re positive or negative. When we share experiences, we get confidence. One of the sweetest features is that the feedback on this or that place can easily be found not only with the help of the search engine but also in Google Maps. Besides, if your business develops better reputation due to the customers’ feedback, the information about it gets more accessible in the search engine. 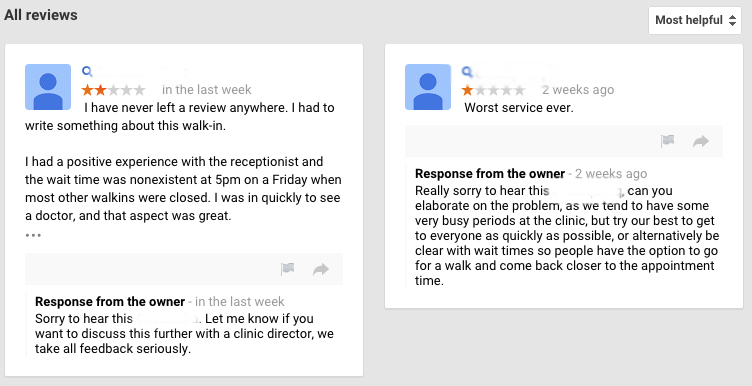 Believe it or not, but Google is one of the best places for generating positive feedback. There will be a ton of information, but I’d better start with the basics. I want to show you how Google search engine works in collaboration with the system of reviews. The following picture shows a list of results according to the search. It is made up of diners situated close to the place where I am. You can see that the results of the search are accompanied by the ratings and reviews of the customers placed both in the list of search results and on the map. Just click on a place and get basic info on the diner and its reputation and ranking. Just imagine that it’s your first day in the neighborhood on your new working place and you simply have no specific idea on where to have lunch or a cup of coffee with a potential business partner. 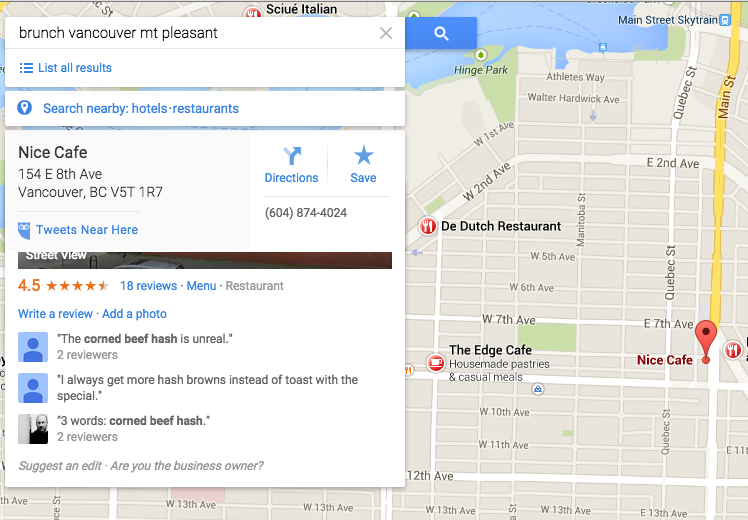 Google is able to recommend you the best place meeting your expectations. You’ll always know whether the place is open or not, you’ll be able to make a call for a reservation and you’ll manage to discuss the prices before you place an order. This is obviously beneficial. 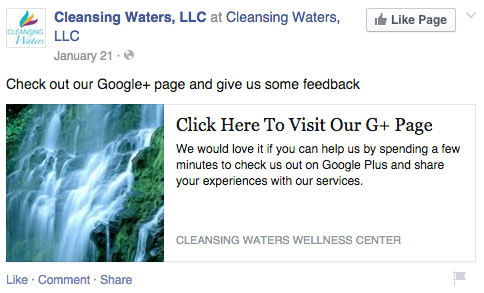 Any experienced business owner will tell you that Google reviews really measure the success. 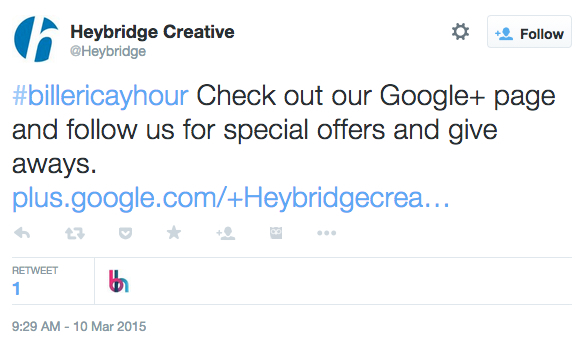 You won’t have to deal with hidden marketing and SEO to make the website of your place popular in the search. 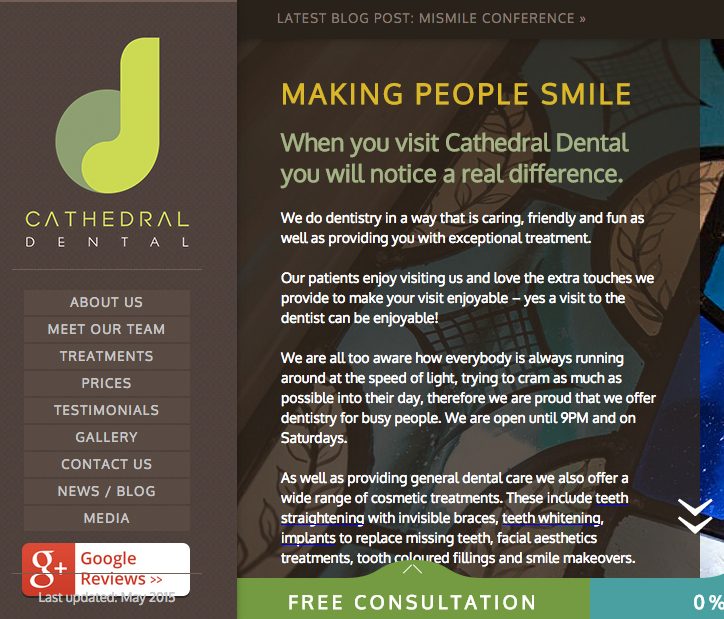 Just make sure your clients are satisfied and encourage them to leave regular feedback by notifications. The opinion of your clients makes your business trustworthy. One of the latest studies demonstrated that up to 90% of consumers choose this or that restaurant or accommodation following the reviews in the Net. 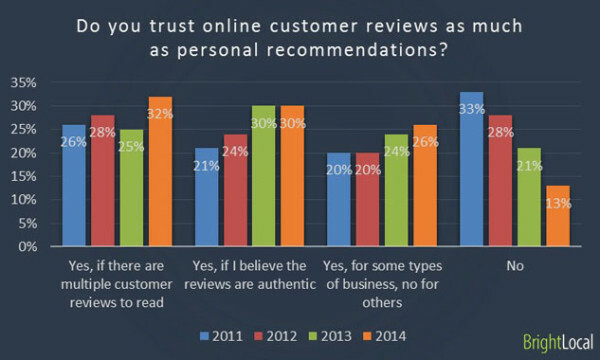 The study has also shown that the number of fresh reviews is also effective because most users study about six reviews before they decide to pay for the service. Now we’re ready to share some tips for the success of your business. Create a page for your business and sign in. The information you present on the platform should be verified. It generally happens via phone or postcard. You’ll be perfect for a search engine. There are several types of verification available according to the specifications of your business. There’s a bulk verification and instant verification. Reviews on the net make a direct connection to the customers. However, there’s a catch here. Most people decide to leave a review when they experience negative feelings about this or that place or service. 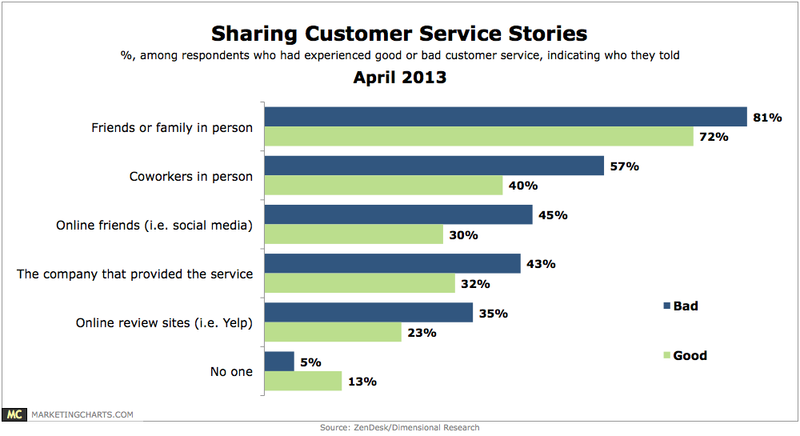 More than 90% leave negative reviews in comparison to 87% of those who share positive impressions. Of course, it makes business owners feel worried. However, it’s OK, because not every customer is going to create an account on TripAdvisor or Yelp to share his or her positive attitude towards this or that enterprise. Most people willingly create accounts on review websites in order to get a sort of relief when feeling deeply unsatisfied. You’ll have to find a way to encourage your customers to leave nice feedback to invest in the development of your business. Become straightforward. Tell your customers that you really need their support. It’s vital if you’re an owner of a small, but promising business willing to be enjoyable to anyone. You’ll get stuck into serious trouble if you get no reviews at all, but it will be a complete disaster if you leave negative feedback unspoken. You’ll have to answer your customers and be able to prove if they’re wrong or say sorry or reasonably defend yourself when you run into a negative comment (you shouldn’t forget about the cunning competing businesses in the neighborhood). Show that you care. Next thing you need to understand, that responding to people’s reviews is another science you should figure out. It makes no difference how your client feels – he or she should be fully satisfied with the way you react to their opinions. Any person staying in your hotel or dining in your restaurant needs to know that he or she can be a key to the development of your business. Make sure you’re active in social networks. Right after you get an officially verified page on Google+, get to the audience through the other numerous social platforms and send notifications to make people follow you. As soon as you get connected in the social media, you can start sending notifications to vote for this or that innovation or simply ask the registered users to participate in the discussions. As soon as your website gets active, you need to do your best to maintain the users’ activity. Your landing page or your homepage should have a CTA button on it. People won’t have to browse through the website seeking for the place where they can leave a comment, a complaint or a praise. Don’t be shy and don’t be afraid of the public – even if you get negative comments, you’ll always be able to respond to them to make everyone believe you’re a trustworthy business owner. As soon as your client pays you for your service, encourage him or her to comment on the service. 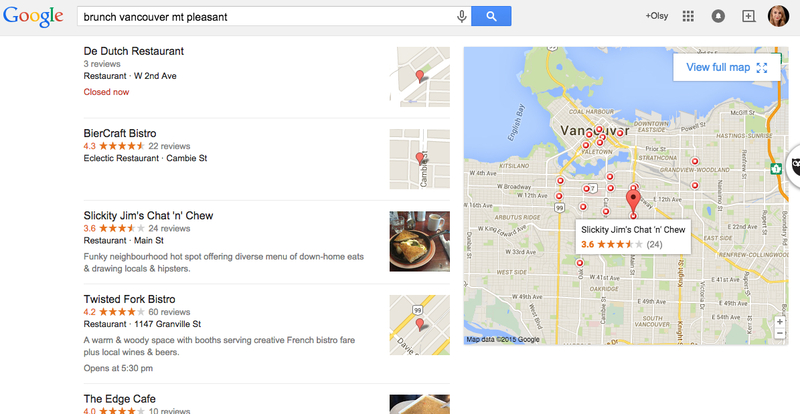 Make a sign on a menu or in a survey leaflet to make everyone know that you care about Google reviews. The sign may be extremely helpful in case if you deal with busy customers who stay satisfied but simply forget to leave feedback. Do you want a little hint to the satisfaction of the customers? Never ignore such sweet things as discounts and seasonal offerings. Devote the discounts to various events like football matches or festivals of all sorts. This will make the customers come back and share positive experienced with family and friends. Remember one thing – your customers are the source of your success, the main tool of your development and the best stimulus to your growing reputation. Be nice. Never forget about polite gestures and stay generous enough to get more opportunities from usual people. The modern world is the world of online socializing and you have to admit it no matter how old are you. You’ll have to be an active part of the society to get trust, respect, and stable income. Use Hootsuite Pro to manage your promotion tools. There’s a month of free trial to try.